HF: Quite a while back Elizabeth Ride told me about an exhibition which included the following information forming part of a WW2 BAAG report. The subject of this exhibition and when it took place are unclear. Furthermore the date of the report is not known, though it must have been from 1943/44. 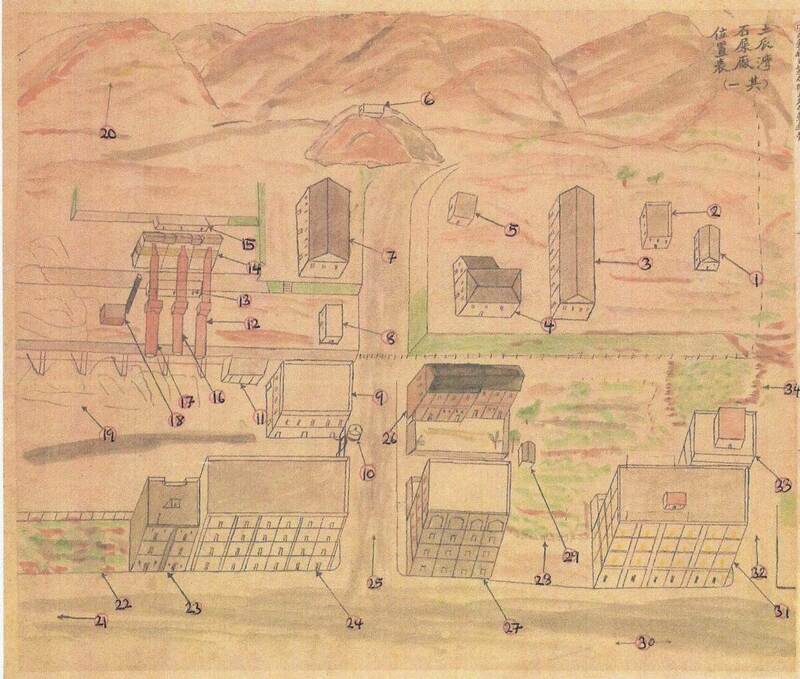 The only reference is a code reading FDR/2B/59 written along the margin of the second map shown below. 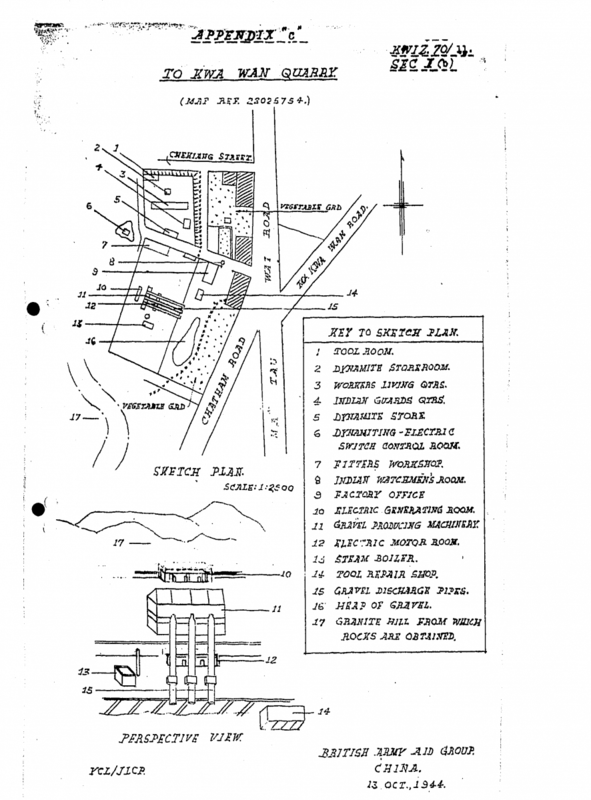 We have also posted an article, linked below, To Kwa Wan Quarry c1841 and 1944. which shows the same location in BAAG report KWIZ #70, 6.10.44. 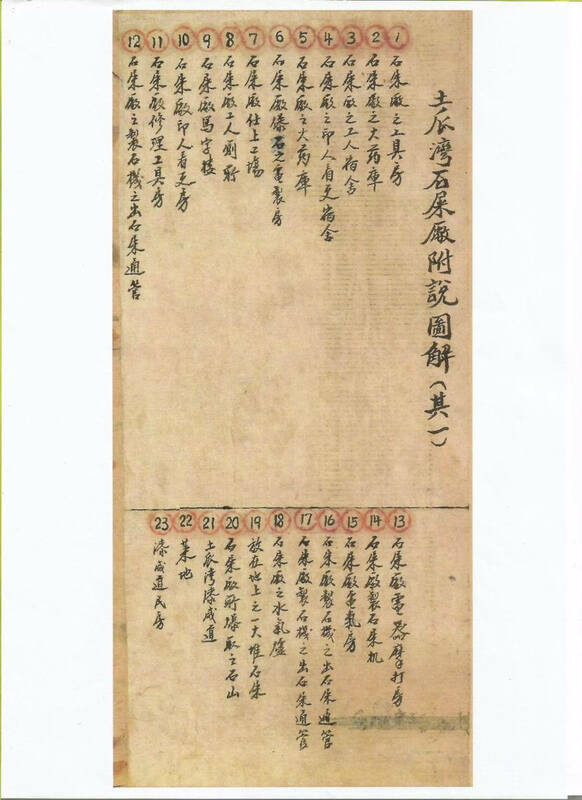 Mak Ho Yin has very kindly translated the Chinese script that accompanied the map and which I have largely cropped out of the image below. I have re-written the numbers shown on the map to aid clarity. 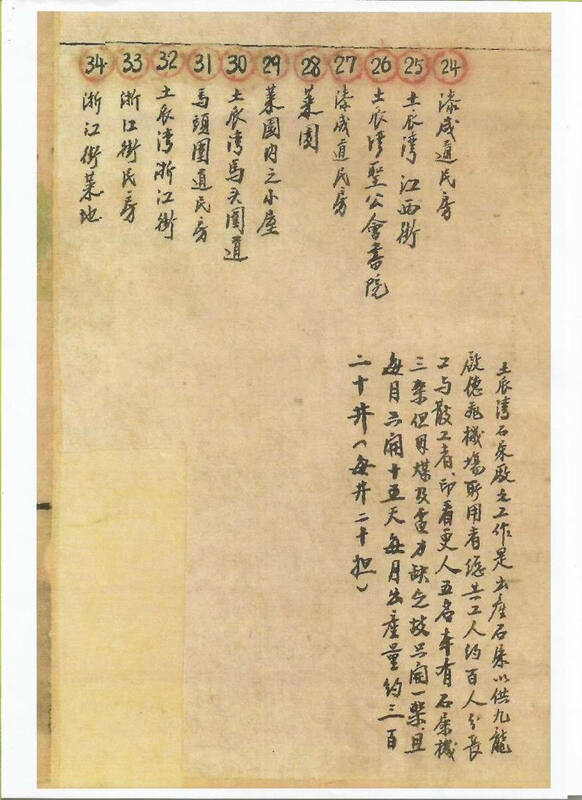 Mak Ho Yin: The following is the translation of the To Kwa Wan Concrete Factory material. Where I’m not so sure, I have put the information in a bracket. 34. Farmland at Chi Kiang Street. Both jing and dan are units of weight, but I can’t judge how heavy they were.